The National Assembly Joint Committee on the Independent National Electoral Commission has re-invited the National Chairman of INEC, Prof Mahmoud Yakubu, to appear before it to further clarify discrepancies noticed in its 2019 election budget. This is as a result of the inability of members of the joint committee from the Senate and the House of Reps to reconcile disparities between the N189bn budget submitted by the electoral body and the N143bn contained in the President’s letter to the National Assembly on the same subject. Chairman of the Committee, Senator Suleiman Nazif, announced this after a closed-door session of the joint committee, which started at about 3 pm and ended at 4:30 pm in the Senate, on Thursday. The INEC chairman is expected to appear before the joint committee to make further clarifications on the details of the commission’s budget. A heated argument between two members of the committee, Senators Ovie Omo-Agege (APC, Delta Central) and Mohammed Hassan (PDP, Yobe South) contributed in no small measure to the stalemate. It was the failure to find a common solution that led to the stalemate and the decision to re-invite the INEC Chairman to give further clarifications. After Thursday’s session, the Chairman of the Committee, Senator Suleiman Nazif, told reporters, “As we are all aware, yesterday (Wednesday), we invited the Chairman of INEC, who was in the National Assembly and who addressed the House of Representatives as well as the Senate. “And today, our duty and responsibility were to try to harmonise what transpired yesterday between both houses and ensure that we cross the “Ts’ and dot the Is. “The whole meeting was called consequent upon the letter of Mr President requesting supplementary budget and virement for the General Election of 2019. He said when the committee meets with the INEC Chairman on Friday (today), it would be in a position to make public its decision. Recall that the Senator Suleiman Nazif-led Committee on INEC had on Wednesday expressed concerns over discrepancies in the budget presented by INEC and one contained in a letter written by President Muhammadu Buhari. These discrepancies were brought to light at a budget defence session between the Senate Committee and the National Chairman of INEC, Prof Mahmoud Yakubu, at the Senate Building, at about 1:55 pm, in Abuja, on Wednesday. The INEC Chairman had presented a budget of N189. 2bn for the 2019 elections, while President Muhammadu Buhari had in a letter to the Senate on July 17, 2018, presented a budget request of N143.5bn for the 2019 elections. Meanwhile, the Civil Society Legislative Advocacy Centre, Centre for Democracy and Development, Centre for Information Technology and Democracy, as well as 11 other civil society organisations, have called on the National Assembly to prioritise the scrutiny of the budget proposal for the 2019 general elections in order to eliminate duplication and wastage. 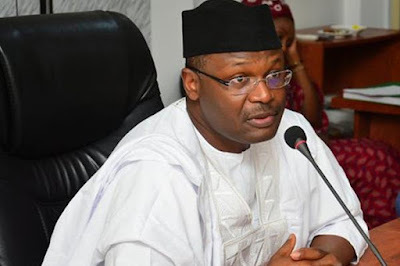 According to the CSOs, the N242bn budget proposal of the INEC, which was submitted by the executive arm of government to the National Assembly for approval, is excessively high and contains duplicated items. Presenting the concern of the various groups at a press briefing in Abuja on Thursday, the Executive Director, CISLAC, Auwal Rafsanjani, said it was worrisome to note that Ministries, Departments and Agencies of government had institutionalised the fraud of overspending money in the name of conducting elections in Nigeria. He said, “We consider the proposed budget size of N242bn for elections curiously high coming, from a government that professes prudence in spending and cutting the cost of governance. We expect that the National Assembly would prioritise the scrutiny of this proposal to ensure that duplication and wastage are addressed and eliminated.